Product protection sometimes is the only mission of food packages. More often, it’s only the start. 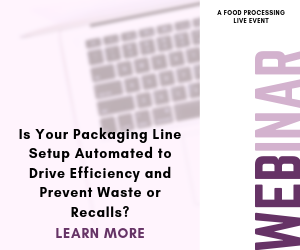 Product protection is the fundamental mission of food packaging, though its marketing utility sometimes trumps protection as the primary consideration in its selection. But many factors can come into play, from educating consumers to answering customer needs to donning a green halo. Function-only packaging exists, although it’s usually found in foodservice applications. That’s the sweet spot for aseptically processed foods, and restaurateurs and commissary operators are happy to swap No. 10 cans for pillow packs and bags-in-boxes. Breathable film allows fish processors to ship frozen seafood in a skin pack without risk of Listeria contamination, according to Pier Fish Company. Photo: Sealed Air Food Care Div. No-frills aseptic bags may look bland, but that didn’t stop Sealed Air’s Food Care Div. from touting the bags and pouches it's supplying to Aseptia Technology at May’s National Restaurant Association show in Chicago. Compared to metal cans, the flexible pouches consume one-quarter of the energy, are one-tenth the weight and take up 30 percent less space, according to Duncan, S.C.-based Sealed Air. Fresh off its recent Edison Award for applied technology in food processing, Aseptia was on hand to help promote the bags and discuss its two-year collaboration with Sealed Air. Aseptia already is working with Dole Foods on low-acid aseptic products for retail, and the NRA show was an opportunity to showcase 53-oz. pouches developed for foodservice, including Dole. Wright Foods, Aseptia’s contract manufacturing division, is using a Cryovac Flavour Mark vertical form/fill/seal system to fill bags made of 1558 high-performance film. It has the puncture resistance and tensile strength to withstand distribution abuse and deliver 18 months of shelf life. “The package has virtually zero air in it and is designed to be fitment free” to reduce cost, says Rodney Weaver, Sealed Air’s business development manager-shelf stable food. The filling system can sterilize and form bags holding up to 300 liters (almost 80 gallons), he adds. Aseptia’s microwave process has been validated with FDA for commercial sterilization for about 50 food products, according to Mike Druga, Aseptia’s chief technology officer. Most are not yet on the market, including the foodservice mashed potatoes displayed at Sealed Air’s NRA booth. “The combination of their technology and ours is allowing new products to come to the market that hadn’t been there before,” Druga notes. Half-inch particulates like tomato chunks in salsa can be processed and protected, he says. New and refreshed packaging could be found at many NRA booths. Aesthetics upgrades to match new-age formulations were the drivers of some changes. Dry Soda Co. worked with fellow Seattle marketers at Retail Voodoo LLC to update bottle labels for its eight carbonated beverage flavors, including lavender, rhubarb and juniper berry. The clear liquids magnify messages like, “Juniper berries are conifer’s little pine-flavored gifts,” that are printed on the glass side of the pressure-sensitive label. Retailers appreciate that kind of pull-through messaging; however, different packaging changes are needed in other distribution channels. For instance, Beth Wilson-Parentice, CEO and founder of Sipp Eco Beverage Co. Inc., Chester Springs, Pa., almost reluctantly showed at the NRA show the new 12-oz. aluminum cans for her “sparkling organic” beverages. Glass bottles have been the sole median for mixers such as ginger blossom and summer pear. Bottles are fine for retail, but Sipp’s push into foodservice demands another format, she says. Wilson-Parentice founded Sipp five years ago. She was a one-person beverage company the first three years and now has a staff of 14, allowing Sipp to gain distribution through hotels, airlines and organic vending firms. Those customers don’t want glass containers. Shatter-proof aluminum meets their needs. Four container panels help tell the a2 milk story, but association with other milk alternatives played a bigger role in package-format selection. Like Sipp and Dry, Brands of Britain sees huge sales potential in trendy restaurants and lounges. The firm extended its Fever-Tree line of tonic water with a new flavor: hand-picked elderflower from the UK, coupled with African quinine and pure cane sugar. More importantly, it added a bartender-friendly 750-ml bottle to complement the 12- and 6.8-oz. bottles already available. Dry also introduced a 750-ml container and is advising customers to serve the beverage in a champagne glass. Containers can be a useful association tool, which is particularly valuable when a new-to-the-market product is introduced. That helps explain the selection of gable-top packaging for a2Milk, Australia’s latest American import. Almost a third of milk’s protein is beta casein, which can be either the A1 or A2 strain. Research suggests A1 beta casein often is the culprit when dairy consumption causes bloating, nausea and other digestive discomfort. While 20 percent of the population reports discomfort from dairy consumption, only 5 percent is actually lactose-intolerant, points out Jim Smith, vice president-marketing of a2 Milk Co., Boulder, Colo.
“If you are diagnosed with lactose intolerance, this is not for you,” he says. But individuals who have self-diagnosed themselves as lactose intolerant can drink a2 Milk without experiencing discomfort. In Australia and the UK, the company uses high-density polyethylene (HDPE) jugs. In May’s rollout in southern California, a2 used half-gallon gable-tops, partly because four printable panels provide room to tell the a2 story but primarily because of the association with other alternative dairy products. According to Erin Reynolds, marketing manager for Memphis-based Evergreen Packaging, 95 percent of organic and plant-based milk beverages are sold in paperboard gable-top packages, with the balance using conventional HDPE jugs. “Paper cartons are gaining momentum,” she maintains, aided by the material’s “eco-friendly” image. (Evergreen’s paperboard does not contain any recycled content, Reynolds says, and the polymer coating must be stripped before it can be pulped for recycling.) “Many of the up-and-coming milk substitutes clearly have chosen cartons,” she adds. No breeding programs or technology is involved in producing a2 Milk. “In any given dairy herd, anywhere from the high 20s to 40 percent of the cows will produce milk with only the a2 protein,” explains Smith. “With just a hair off the tail of the cow” a DNA test will identify them. Additional validation is done in production, but from that initial identification, the milk from those cows is segregated, mirroring the supply-chain controls for organic milk. Smith expects retailers will merchandise cartons of a2 Milk adjacent to their organic milk. And with the carton format, “we can tell a lot more of the brand story,” he says. Separation, not association, from existing packaging systems is the goal in the seafood category. Norway-based Marine Harvest Group hopes to accomplish that with Rebel Fish, the company’s first U.S. brand initiative. There are seven varieties of the 6-oz. salmon portions, each with a different seasoning packet for use as a rub before popping the portion into a microwave for 90 seconds. Vacuum skin packaging provides sufficient shelf life to allow fresh distribution of Marine Harvest Group’s Rebel Fish single-portion line. Photo: Sealed Air Food Care Div. Vacuum-skin film extends shelf life sufficiently to allow Marine Harvest to distribute a never-frozen product, according to Racheal Aguirre, brand manager. Introduced in 2014, the over-wrap is undergoing an update, with a bigger window to show off the salmon and printing of a “36g protein” nutritional callout. Rebel uses Cryovac Darfresh 10K OTR film, which generally extends refrigerated shelf life 2-4 days, according to Sean Brady, market development manager at Sealed Air. OTR is short for oxygen transmission rate. To avoid an anaerobic environment where clostridium botulinum can thrive, particularly at refrigerated temperatures, the FDA requires entry of 10,000cc’s of oxygen per 100 sq. in. over a 24-hour period. Sealed Air’s specialized film was introduced several years ago, but because it requires specialized packaging equipment, adoption has been slow. As fish processors invest in replacement machinery, says Brady, that’s beginning to change. New Bedford, Mass.-based Pier Fish Co. Inc. commissioned the necessary equipment this year and introduced vacuum-skin packaging at the Seafood Expo in Boston. The 105-year-old family firm, which distributes the product frozen, made the investment because of the retailer issues it addresses, according to COO Scott Bode. For example, Tops supermarkets that lack a full-service seafood counter can store product frozen, then slack off units as needed for placement in self-service seafood cases, reducing out-of-code issues. Through freeze and thaw cycles, Pier Fish’s vacuum pouches do the job of protecting the product, but the mission scope is broader. Whether it’s meeting retail needs, foodservice preferences or diet sensitivities, today’s food packages are multi-task performers. Aseptia Technologies, Hiperbaric HPP honored with technical innovation awards.